The Language Mode for an operator controls the scripting language used for the operator's parameter expressions, and in the case of DATs, the language used for the DAT contents as well. 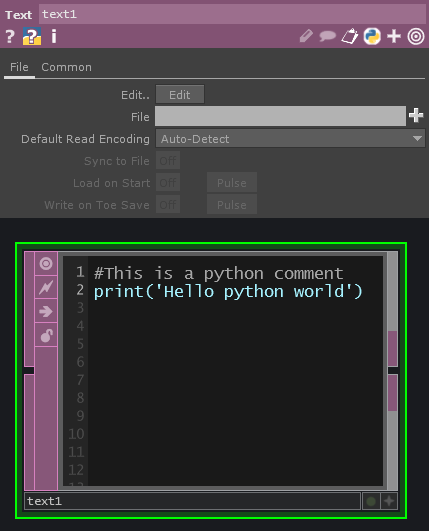 The mode can be toggled between the default Python and Tscript using the Language button in the top of each operator's parameter dialog. Note that the color of text in DAT viewers will change based on Language Mode, blue = python, purple = tscript. This page was last edited on 11 October 2017, at 13:56.